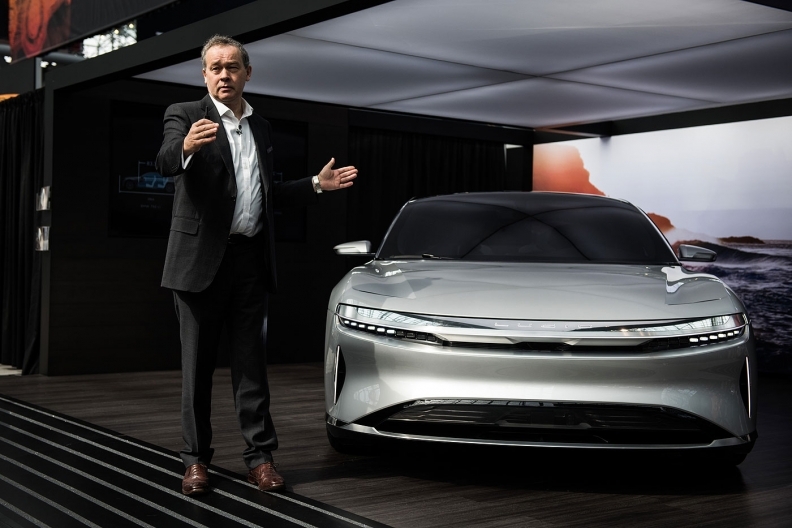 Peter Rawlinson, chief technology officer for Lucid Motors, with the company's Air alpha prototype at the 2017 New York International Auto Show on Thursday. NEW YORK -- Electric-car startup Lucid Motors Inc. has a team recruited from Tesla Inc. and a slick concept that boasts impressive performance. Now it’s going to need more money. 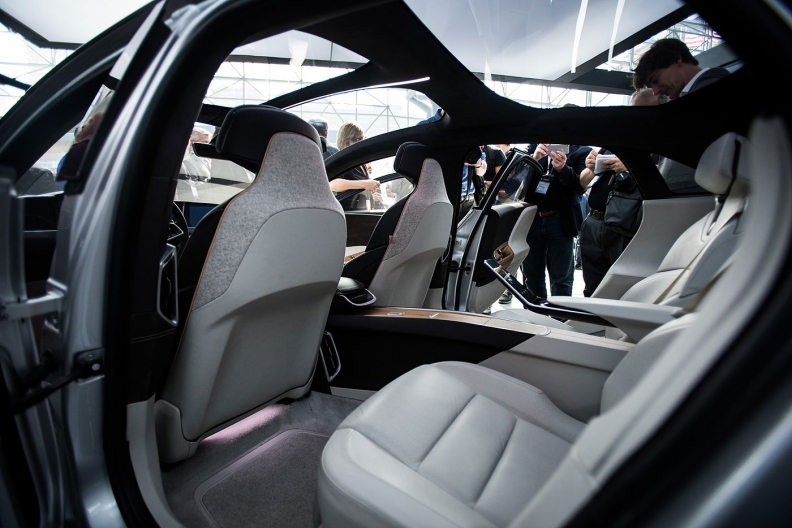 The nascent carmaker unveiled its Air prototype in December and had said it would start production of its all-electric luxury sedan in 2018. 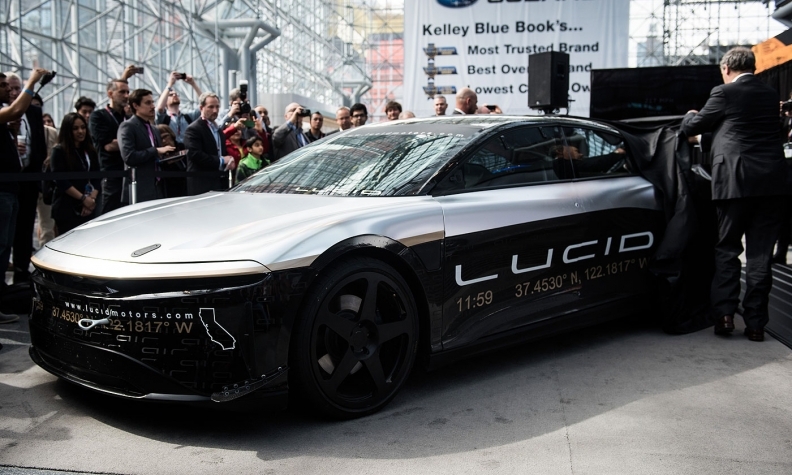 That timeline has slipped a bit -- Lucid wants to secure its next series of financing before breaking ground on a plant in Arizona, then debut the car in 2019, according to chief technology officer Peter Rawlinson. The Air, on display at the New York auto show on Thursday, just completed its first high-speed stability test at 217 miles per hour. Once funding is in place, it will take 24 months before Lucid begins production, Rawlinson said. In November, the company said it would break ground and begin hiring in the first half of 2017, with production beginning in 2018. The extended timeline means Lucid will fall another year behind Tesla and other competitors in the race to bring the next generation of low-emissions vehicles to market. Still, Rawlinson said he’s confident in the car, partially because he says he’s hired most of his old team away from Tesla. 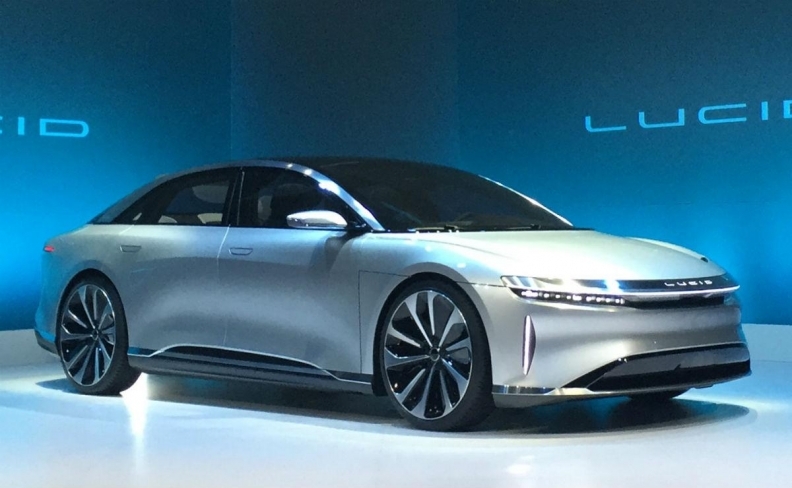 The Lucid Air, if produced, would start at $60,000, or $52,500 after federal tax credits. That’s how Lucid plans to make money where many electric-car programs have produced red ink. The base model will be profitable because battery costs are low, while the faster versions will compete with the top luxury cars and command loftier prices, he said. Lucid has signed battery-supply agreements with both LG Chem and Samsung SDI Co.
Lucid has said it plans to build 10,000 vehicles in its first 12 months of production and ramp up to 130,000 annually by 2022. The Air model will come equipped with the hardware required for fully autonomous driving, though the software won’t be ready until 2021 or 2022, Rawlinson said. The Air just completed its first high-speed stability test at 217 miles per hour. Its high performance will compete with German luxury manufacturers rather than just with other electric carmakers, Rawlinson said.